Looking to upgrade your PC’s graphics card? Now is a great time to get one! 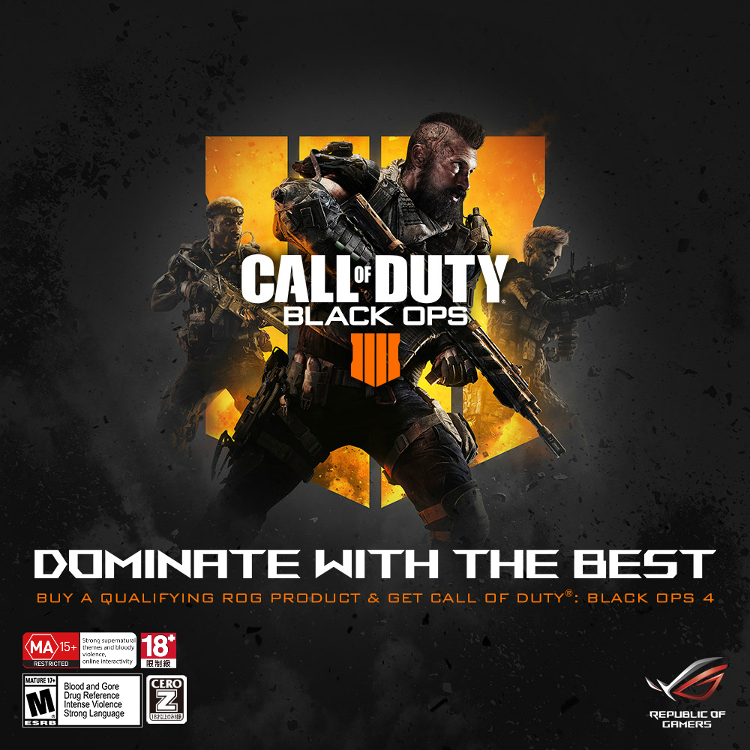 ASUS ROG recently announced a collaboration with Activision for their latest upcoming title — Call of Duty: Black Ops 4. 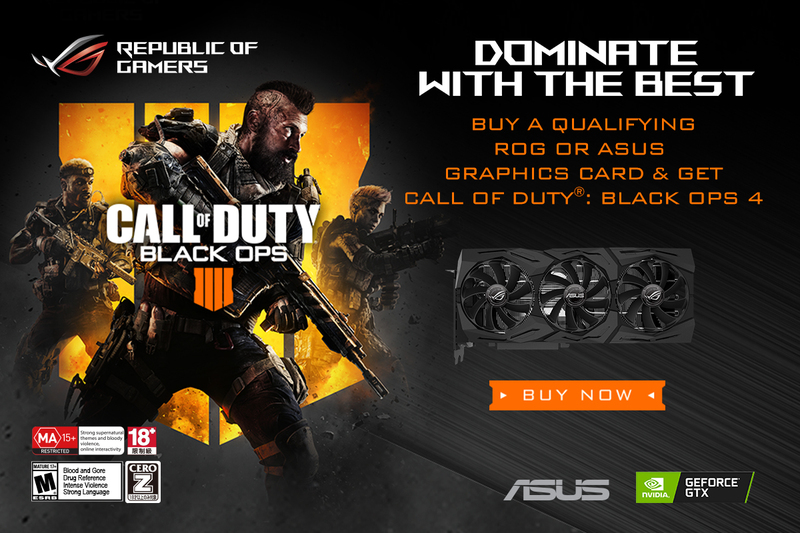 The partnership brings unique Aura Sync capabilities and effects when playing Black Ops 4 with ASUS hardware, as well as bundling Black Ops 4 with select ASUS graphics cards. Upon Black Ops 4’s release, players of the game with Aura Sync-compatible hardware will get access to exclusive features. These features include RGB light effects that correspond to in-game actions, adding immersion for a more intense gaming experience. 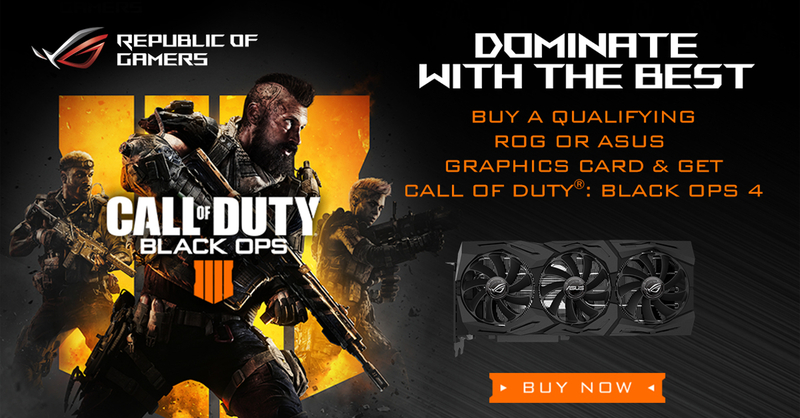 As for the Black Ops 4 bundle, customers who purchase eligible graphics cards from participating dealers during the promo period will receive access to the Digital Standard Edition of the game. The promo period started last September 10, and will be until January 10, 2018. Participating dealers include: Complink, Davao Futurebright Enterprises, Dynaquest, Easy PC, Gaisano Interpace, JDM Techno,Computer, NUTECH, Octagon, PC Configure, PC Express, PC Hub, PC QuickBuys, and Thinking Tools Inc. Previous articleASUS’ ZenFone Max Pro M1 4GB version gets a price cut!